Kushwaha said anyone could become the chief minister of Bihar after the 2020 Assemble elections. 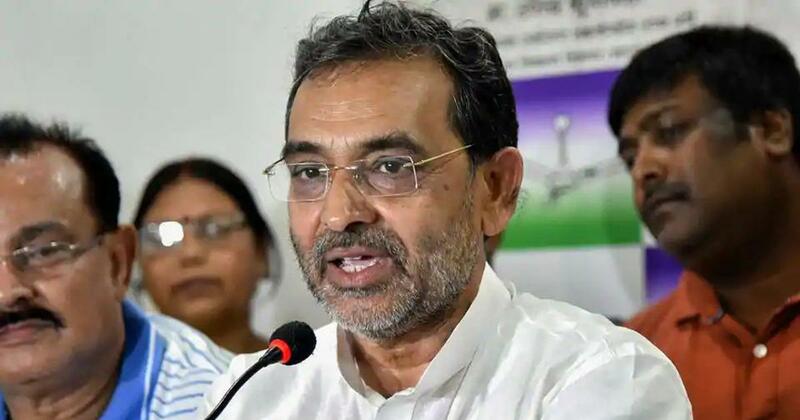 Union minister Upendra Kushwaha on Friday demanded that his party, Rashtriya Lok Samata Party, be allotted more than three seats in Bihar by the National Democratic Alliance to contest the 2019 Lok Sabha election, PTI reported. “My party had contested [and won] three Lok Sabha seats in 2014 but now this party’s strength and base have increased,” Kushwaha said. “Our party should be given more than three seats after making a neutral assessment of its strength,” he said at his party office in Patna. Bihar has 40 Lok Sabha seats. Kushwaha said he had raised the demand for more seats with Bharatiya Janata Party General Secretary Bhupendra Yadav, who is in charge of Bihar. He said he would speak to Prime Minister Narendra Modi, if needed. Kushwaha said seat-sharing between NDA partners in Bihar – BJP, Janata Dal (United), Rashtriya Lok Samata Party and Lok Janshakti Party – has not been finalised or else it would have been announced. On October 26, BJP President Amit Shah announced an alliance with Janata Dal (United), with the parties contesting for an equal number of seats in the 2019 Lok Sabha elections. Shah had then said that the seat-sharing negotiations with all allies have concluded, but did not announce any details. Kushwaha said the 50-50 deal between BJP and Janata Dal (United) did not matter, since it could also mean 15 seats each, leaving five each for his party and Lok Janshakti Party, Hindustan Times reported. Kushwaha said his party’s alliance with the BJP and Lok Janshakti Party were intact, but demanded that Janata Dal (United) chief Nitish Kumar retract a statement he had made on a TV channel. On the matter of seat-sharing with Kushwaha’s party, Kumar had said on November 3: “Do not take the debate to such a low level.” Kushwaha said he felt the remark had casteist overtones. Kushwaha had earlier this month said Nitish Kumar had told him that he did not want to continue as the chief minister of Bihar after the state’s 2020 Assembly polls. But the Janata Dal (United) rubbished this claim.